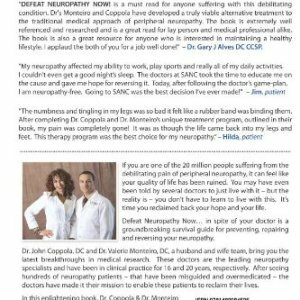 Defeat Neuropathy Now…In Spite of your Doctor is a groundbreaking survival guide for preventing, repairing and reversing neuropathy. 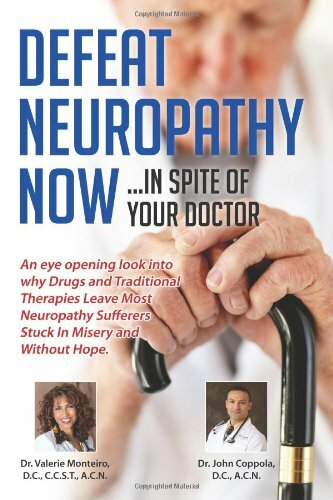 It is an eye opening look into why medications and traditional therapies leave most neuropathy sufferers stuck in misery and without hope. 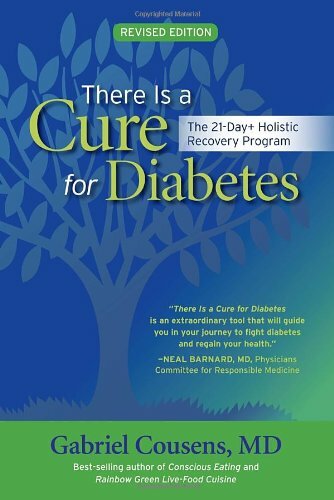 This book will undoubtedly shake the foundation of the traditional medical community and pharmaceutical industry, while giving neuropathy pain sufferers every thing they need to know when it comes to making the safest and most effective choices for their chronic pain. 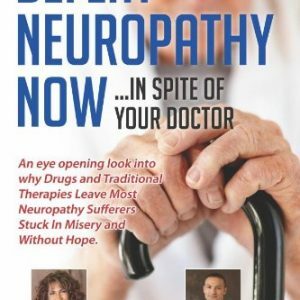 ‘Defeat Neuropathy Now’ is extremely informative, yet still maintains a witty and entertaining tone. 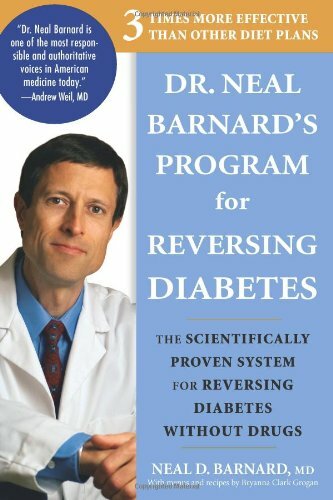 You don’t have to be a scientist to understand the book. 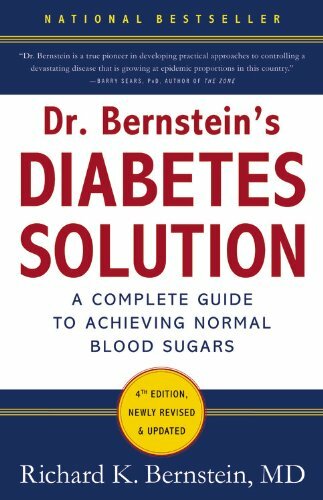 It is an easy read for everyone. 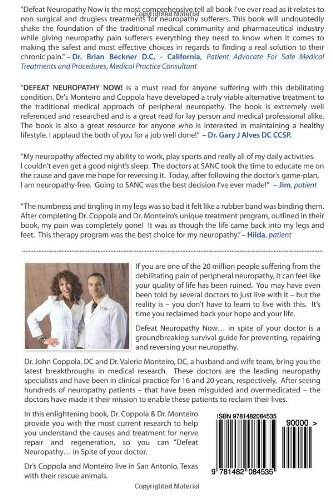 Dr. Valerie Monteiro D.C., Dr. John Coppola D.C.